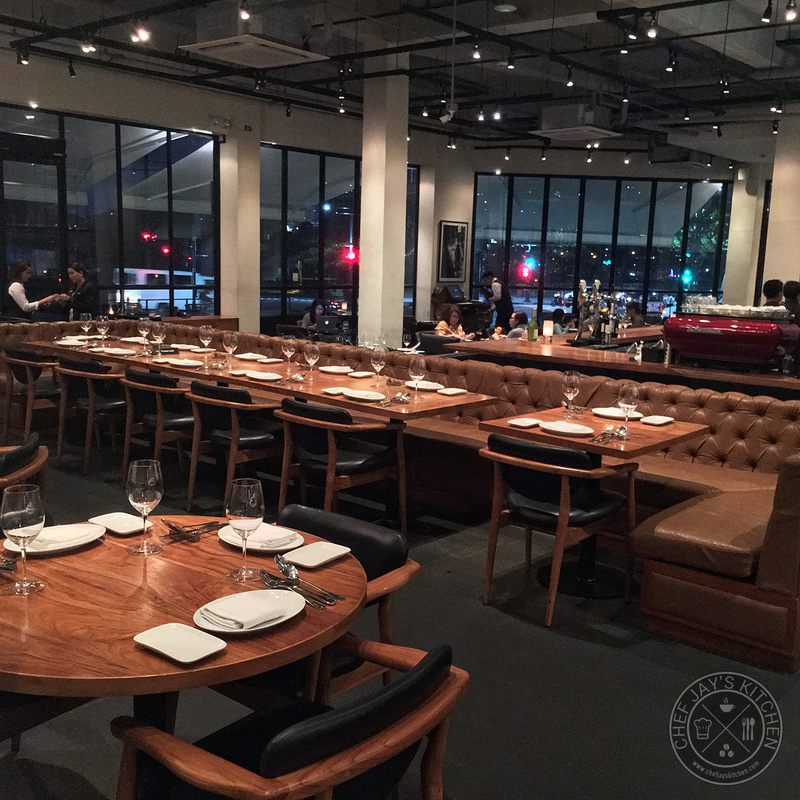 Salvatore Cuomo is a premium Italian casual dining restaurant named after Japan's "Pizza Man" himself. Cuomo was born in Naples, Italy by an Italian mother and Japanese father and spent his early days training under Naples' finest pizza restaurants. 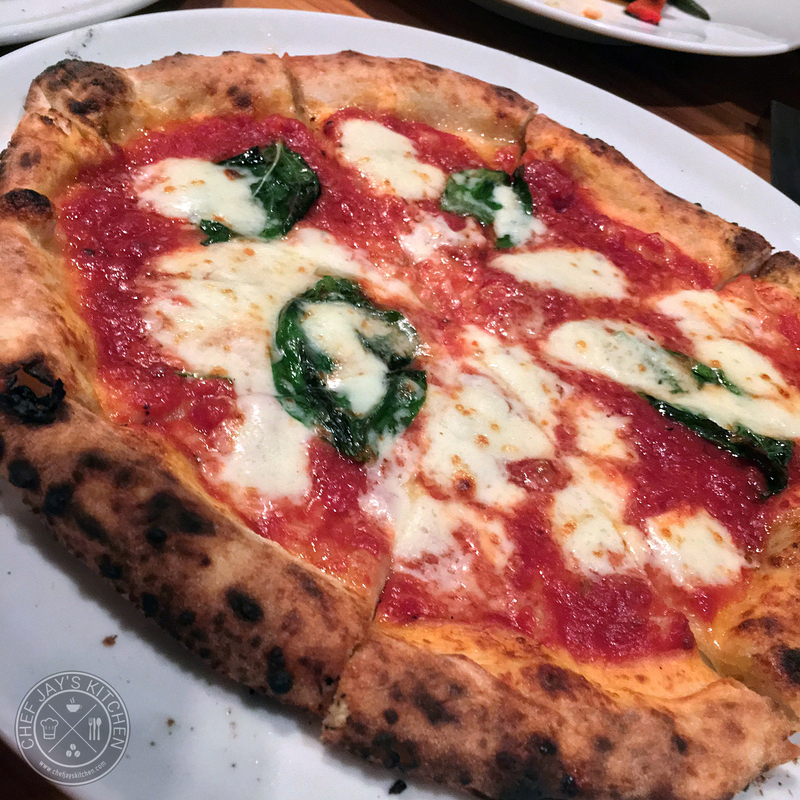 He introduced authentic Neapolitan pizza in Japan, blending traditional Italian cooking with Japanese perfection, and was rewarded by queues of hundreds of people craving to get a taste of Italy. Cuomo is a celebrity chef in Japan making multiple appearances in TV programs with hundreds of namesake restaurants around the world - all serving quality food and premium service. 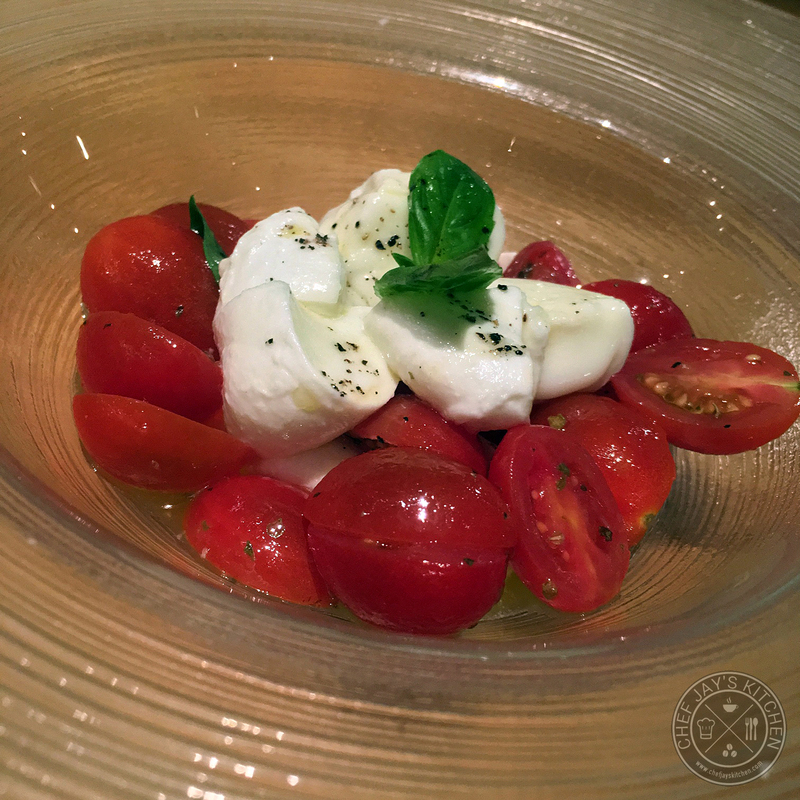 It used to be very difficult to find a premium, authentic Neapolitan cuisine in Metro Manila. Now, we are lucky to have Salvatore Cuomo. All of Salvatore Cuomo's pizzas are baked in a custom-made oven shipped from Naples, Italy which a combination of local beech wood and imported composite wood that gives a unique taste and texture to the pizzas. How much more authentic can you get? Salvatore Cuomo recently released a new Lunch Menu with far more affordable prices when compared with when you dine in for dinner. The dishes below introduce some of their lunch menu favorites with lunch prices. 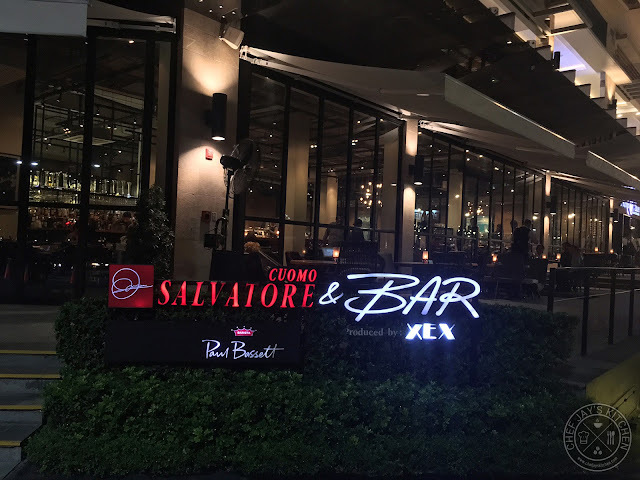 Extremely elegant interiors and beautiful furniture provides the premium casual dining experience that Salvatore Cuomo wants his customers to experience. The design is very modern, with the high ceiling and exposed pipes giving a very industrial ambiance. It's feels like a place where you can just sit back and enjoy a fine meal comfortably. It's a beautiful place and perfect if you're looking to impress someone not only with quality food but with the overall dining experience. 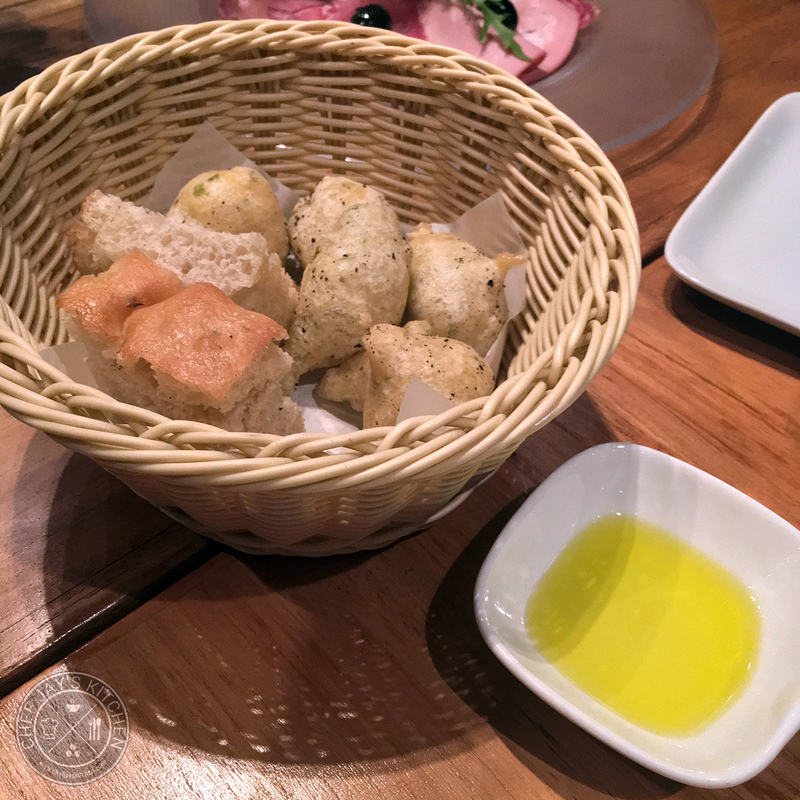 The restaurant serves a complimentary basket of freshly-baked homemade foccacia and zeppole while you are waiting for your food to arrive and I must say it is very delicious. It's beautifully seasoned and is served with some extra virgin olive oil for you to dip it into. My favorite has to be the herbed zeppole, it's so tasty that I found it hard to stop myself from eating more of it. 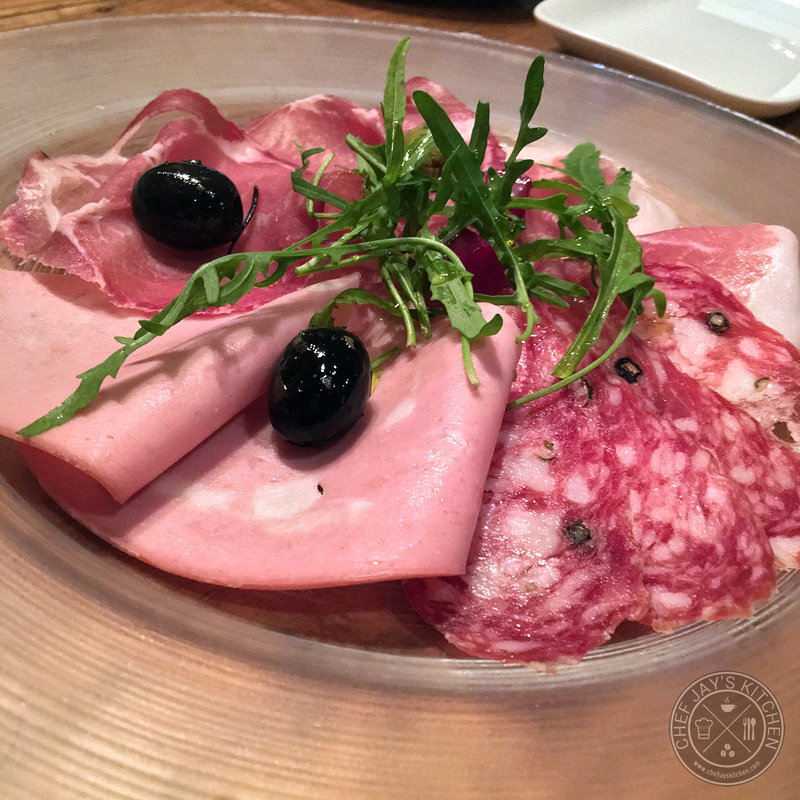 The Tagliere di Affettati (Php 550) is a selection of Italian Cold Cuts, which includes proscuitto, mortadella ham, and salami, served with olive oil and arugula. It's definitely a premium platter that helps get your palate going to kick off the meal. The Antipasto Misto (Php 300) is simply an Italian appetizer platter when you get a small serving of everything that includes the buffalo mozzarella salad, a few cold cuts, and the marinated seafood salad. If you're looking to just have a taste of everything and you only have your date with you then I would recommend this. It's not much, but it can be shared by two people. The Margherita (Php 580) is a classic Italian pizza that made with Tomato Sauce, Basil, and Mozzarella. This is a great combination of flavors, which is probably why almost every pizza chain has their own version of this basic pizza. I love how Salvatore Cuomo's premium ingredients and their unique oven turns out a very delicious Marherita pizza! The Porcini e Porchetta (Php 590) is pizza topped with Porcini Mushrooms, Roasted Pork, Basil, and Mozzarella. If you're looking for pizza that would give you a bang for your buck with hearty flavors and a lot of toppings, I highly recommend this pizza. The balance of porcini and porchetta is delicious, and I love the creaminess that the slabs of mozzarella brings to this dish. 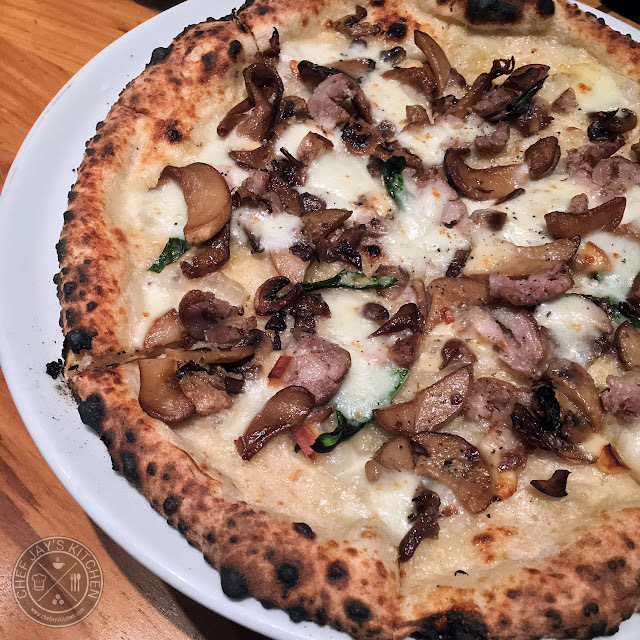 I'm a sucker for pork and mushrooms and I personally believe this is a pizza you shouldn't miss! The Quattro Formaggi (Php 620) is made with 4 different kinds of cheese and is served with a jar of honey that helps cut through the richness of the cheese for a beautifully sweet finish. 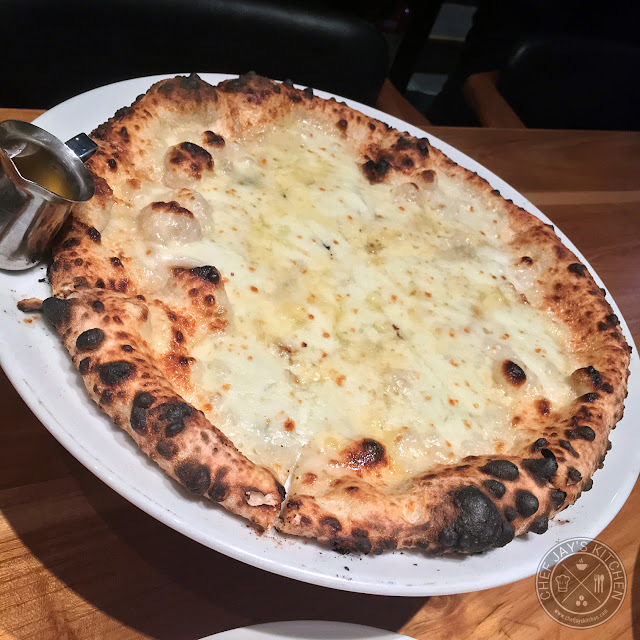 I personally like Salvatore Cuomo's version of this classic Italian pizza because it's definitely an overload of cheese. I don't think you need to pour the honey but it does help give the pizza more complexity and flavor. 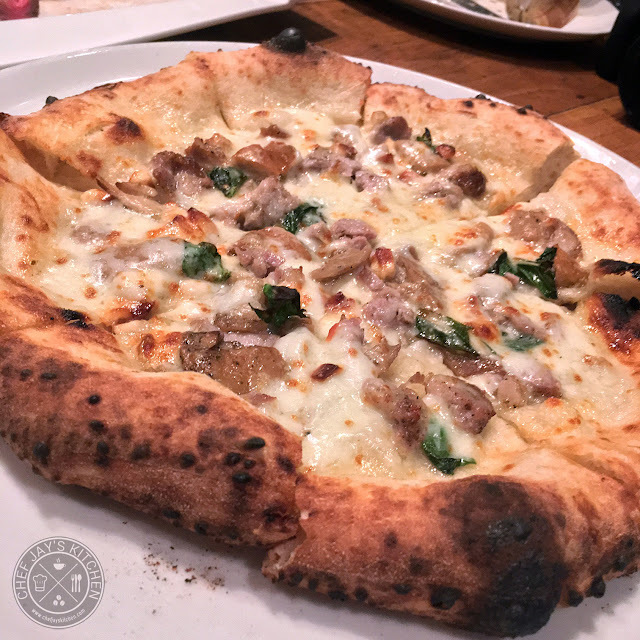 The Salsiccia e Friarielli Pizza (Php 590) is made with Italian Sausage, Broccoli Rabe, Mozzarella, and Chili Pepper. It's the more spicy pizza among those we tried but it was certainly delicious. I love how it's oozing with cheese and sausages in every bite. 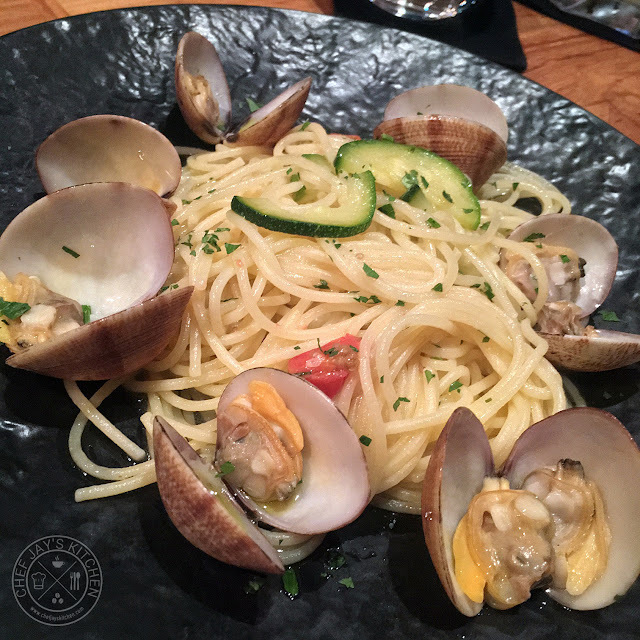 The Spaghetti alle Vongole con Zuchini e Pomodorini (Php 380) is spaghetti with Clams, Zucchini, and Cherry Tomatoes. I love how the pasta tasted very fresh and vibrant - a sign of good quality vongole. It reminds me of the taste of the sea and you can taste a bit of that white wine in every bite. It's very refreshing and packed full of seafood flavor. I would highly recommend this for seafood lovers! 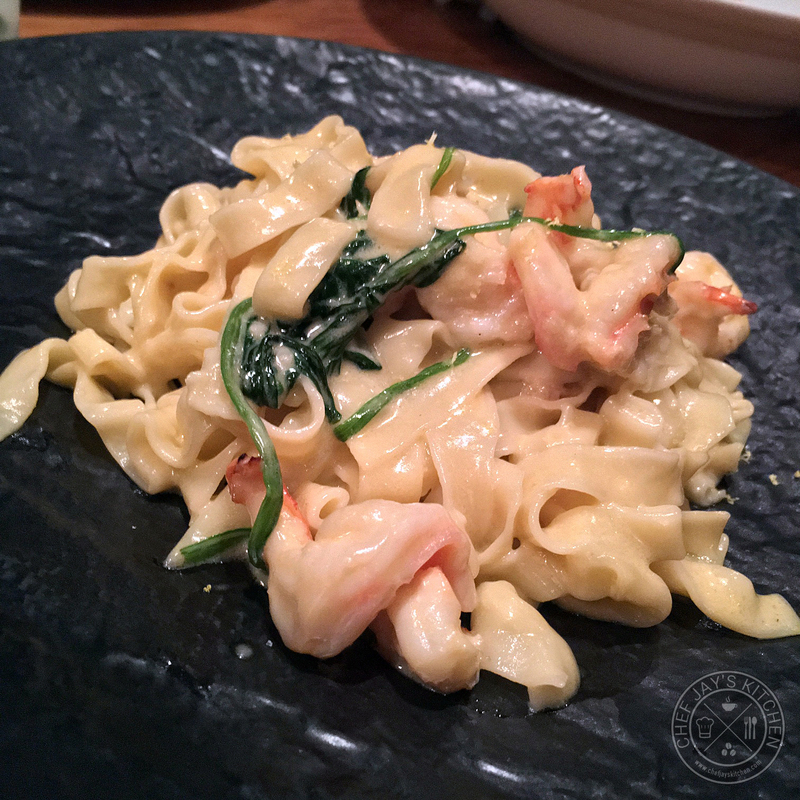 The Tagliatelle alla Crema con Gamberi e Spinaci (Php 390) is tagliatelle with Shrimp and Spinach served with a Lemon Cream Sauce. I loved this dish so much because it was so creamy and decadent, but the lemon in the sauce helps keep things interesting. It's a dish that is packed with so much flavor and pairs beautifully with the juicy shrimp served with it. Out of all the pasta we tried, this has to be my favorite and it's highly recommended! You need to order this! 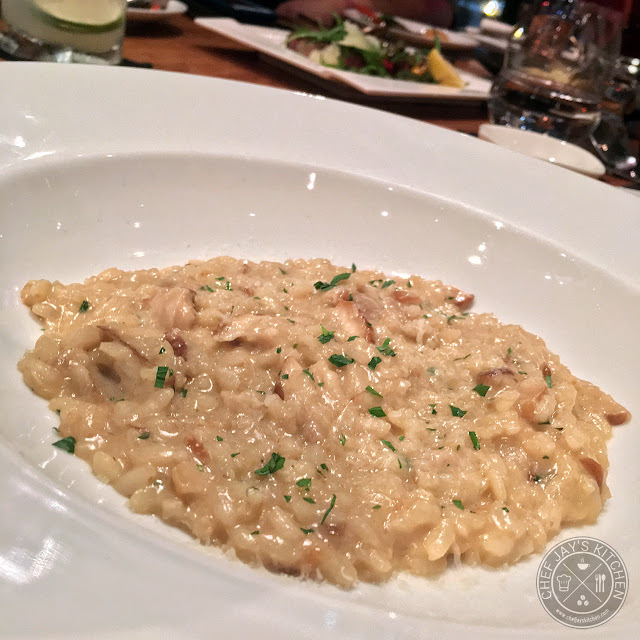 The Risotto ai Funghi Porcini (Php 490) is traditional risotto with Italian Pocini Mushrooms. I love the creaminess of the risotto that's beautiful with that rich mushroom flavor. It's a perfectly cooked risotto with rice was still firm and not chalky. It may just look like rice and mushrooms but trust me, the flavor of this dish in bang on! I have no doubt that this is the best risotto I have ever tried in Manila. It's very difficult to find good risotto in Metro Manila, and I highly recommend you order this dish if want to taste amazing risotto. 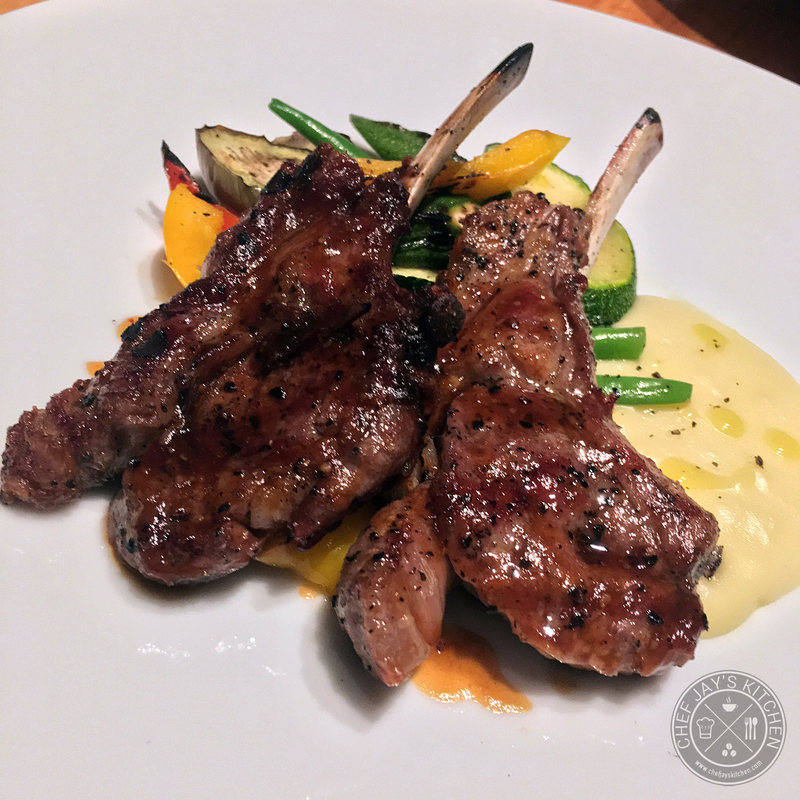 The Agnello alla Griglia (Php 950) is a serving of Charcoal-grilled Lamb Chops. I admit this might be the best lamb chops I have ever tasted in Metro Manila. I love how the lamb was just grilled to perfection and it was still quite soft and tender to eat. It's a great piece of grilled lamb, and it's difficult to say anything more about it except that I highly recommend you order a plate! 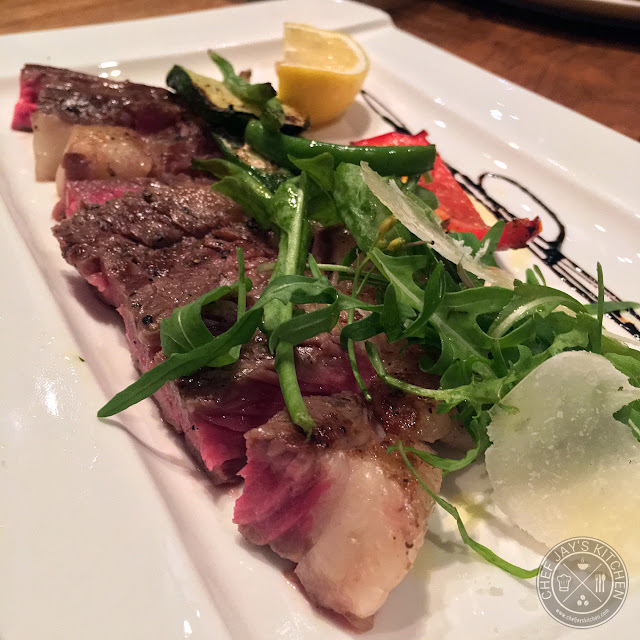 The Tagliata di Manzo (Php 980) is a US Angus Ribeye steak served with a Balsamico Reduction. This was one beautifully cooked main and I have to admit I loved every bite of it. It's how steak should be - flavorful, succulent, and tender. It's cooked to a perfect medium rare and for a place that isn't known for steak I have to say I would no doubt order this again. 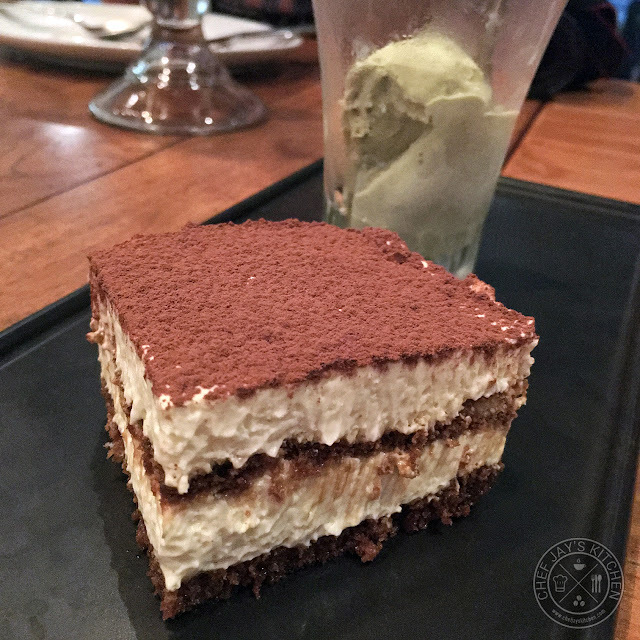 The Tiramisu served with Pistachio Gelato (Php 380) is made with coffee and mascarpone from Italy served with pistachio ice cream. I love the balance of the ice cream and the coffee, but if I had to pick a highlight it would be that Pistachio gelato. This is one absolutely delicious scoop of ice cream! No disrespect to the fluffy, perfectly prepared tiramisu light and creamy but once you get a spoonful of the pistachio ice cream your tastebunds just keep going in for more. Love it! 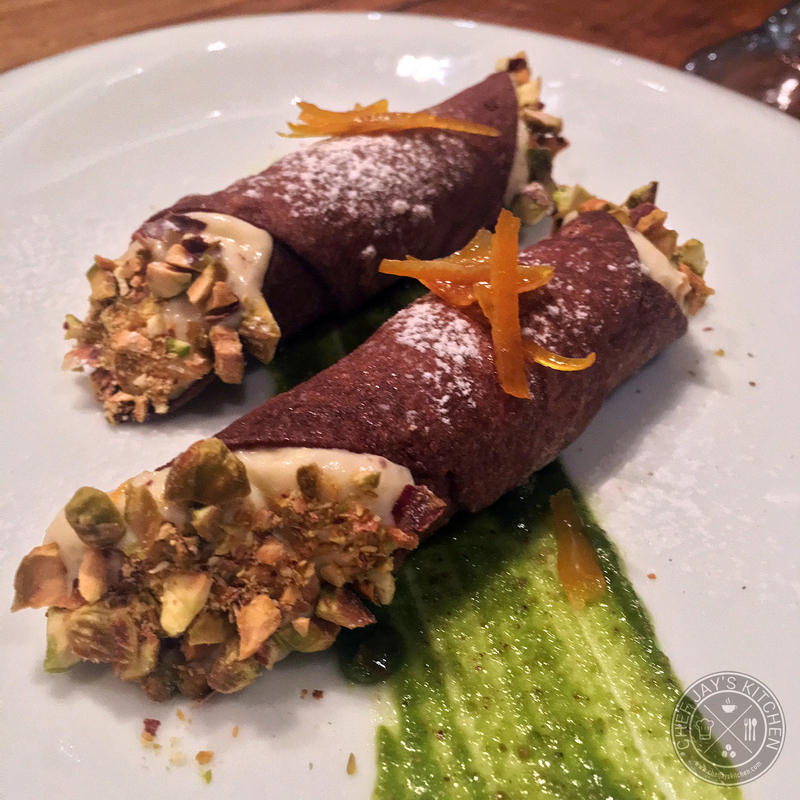 The Pistachio Cannoli is a delicious cannoli that greets with a silky smooth and light cream inside after you bite through the crunchy shell. Love the balance of texture from the crunchy pistachio and the silky cream. It's one highly recommended dessert! Salvatore Cuomo is now my go-to Italian date place. The food is authentic Italian food with so much flavor. 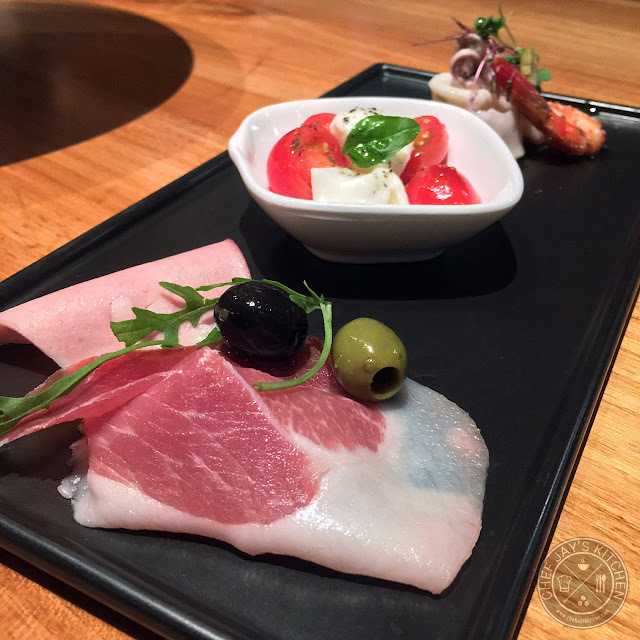 The simple, premium ingredients and the high standard of Salvatore Cuomo is really reflected in how good the food is. The interiors are also very beautiful and is perfect for an intimate date out. Their food is also slightly more affordable now with the release of their lunch menu. The serving sizes are said to be a little smaller but the quality of the dishes are the same. If I have any complaint, I think Salvatore Cuomo is a bit pricey (which is why it doesn't get a perfect score) but I am a firm believer that you pay for quality. If you want exquisite Italian food and are willing to pay for it, Salvatore Cuomo is the place to be. Disclaimer: This is a sponsored review. The author did not pay for any of the dishes mentioned in this article. This, however, does not impair the unbiased opinion of the reviewer.